If you have hard water coming into your home, it can be difficult to keep your home clean. Hard water contains elevated levels of calcium, magnesium and other minerals. These minerals are collected and dissolved into the water as it runs over and through minerals deposits. These hard minerals react with soap to create soap scum residue that will cover your surfaces even after a thorough cleaning. Sadly, hard water is a widespread problem in homes all over the country, and a water softener is needed to make the water softer. Here are four ways that hard water can make it more difficult to keep your home clean and pristine. There are other minerals found in hard water apart from calcium and magnesium. Depending on the specific geological features in your region, the groundwater that you use may also contain iron. If your water comes from a well, high levels of iron is a common problem. When water has a high iron content if can leave red/brown rust stains in your toilet bowl, shower stall and sink drains. This is not dangerous to your health, but it’s difficult to clean and persistent. Until you address the underlying water quality issue, the stains will keep coming back, and they are hard to clean. As we mentioned earlier, hard water minerals will react with your soap and detergent to form a soap scum. Anytime that you clean with hard water this scum will form a sticky residue on surfaces, such as sinks, bathtubs, shower curtains, tiled walls, and faucets. 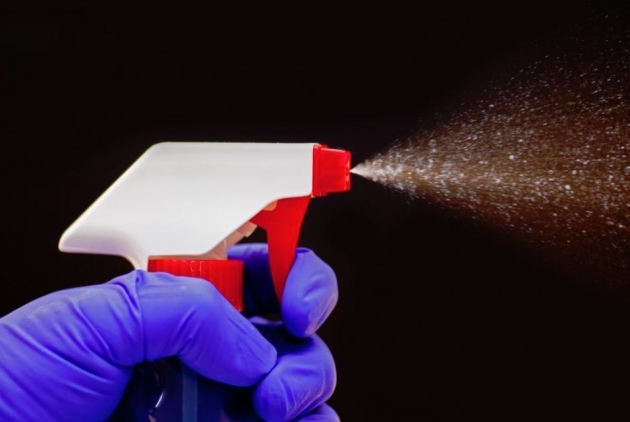 This will prevent you from achieving the cleaning results that you’ve seen on the cleaning product commercials. This can be very disheartening; cleaning takes time and effort and when the results are less than optimal many people become frustrated. If your dishes come out of your dishwasher and they look dirty, it could be caused by hard water spots. This is especially noticeable on glassware; a glass held up to the light may be covered in streaks and spots caused by hard water minerals. In fact, if you wash your dishes for extended periods of time with hard water they may become permanently cloudy. The hardness causing minerals in your water are abrasive, and over time they will etch away at the surfaces of plastic and glass. Getting good laundry results is a real challenge if you have hard water coming into your home. The washing machine may really struggle to get your clothes clean, the minerals in hard water actually prevent the detergent from mixing effectively in the water. The result is a poor level of cleaning performance that will make your clothes look dull and fade the colors. Some people try to compensate by adding more detergent, but this is simply throwing good money after bad, and the results will not improve. Making a switch to soft water will make your soaps and detergent products far more effective. In fact, many people report that they need to use less soap when they use soft water for cleaning and laundry. A water softener can remove the hard minerals in your water and make your water much softer and easier to use.